The biggest Festival of Science and Innovation in Greece has come to Thessaly! The 1st Thessaly Science Festival is organized this year in the city of Larissa, on the occasion of the 30 year anniversary of the establishment of the University of Thessaly. The Festival events will take place in the “Mill of Pappas”, a culture hub in the center of Larissa which has been an integral part of the city’s history for many years. From the 11th to the 13th of October, visitors of all ages will have the opportunity to follow fascinating talks by distinguished Greek and international scientists, exciting experiments, interactive events and video-shows, and participate in workshops and educational science-themed games. With “30 years of creation” as its central theme, Thessaly Science Festival 2018 intends to embody the characteristics that have marked the history of the University of Thessaly, such as creativity, innovation and extroversion, and to highlight the contribution of the University to the community and its citizens. For 3 days, researchers and distinguished scientists will present the high-quality research taking place in Greece, while also cooperating with educators and artists to explain complicated scientific subjects in fun and creative ways, making difficult notions easy to understand. It is our goal to prove to both young and old that science is not just about knowledge, but also about having fun! The Thessaly Science Festival is organized by the educational organization “SciCo-Science Communication”, the University of Thessaly and the office of the Deputy Mayor for Culture and Science of the Municipality of Larissa, in cooperation with academic and research institutions and educational organizations. 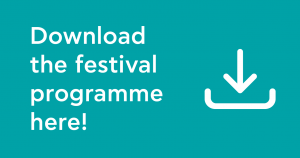 Download the programme of the Thessaly Science Festival.